The historic property known as Millersburg Military Institute was abandoned and in rapid decline. The community was suffering from a lack of jobs and opportunity. Seeing an opportunity to restore the once beautiful and parklike property on Main Street in Millersburg, Community Ventures purchased the property in 2016. This restored property now serves as a public event venue for weddings, special events and corporate retreat. 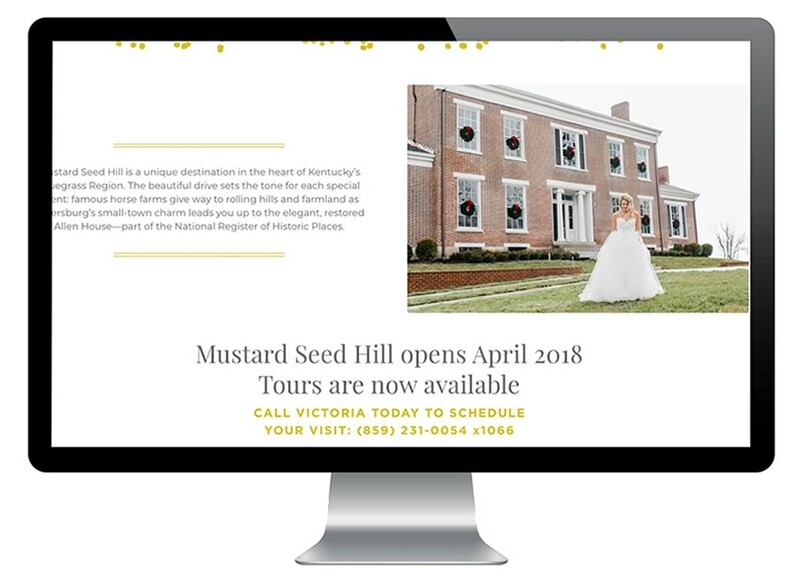 With newly a restored and preserved property, a new vision and story was born, Mustard Seed Hill. That’s where we stepped in. 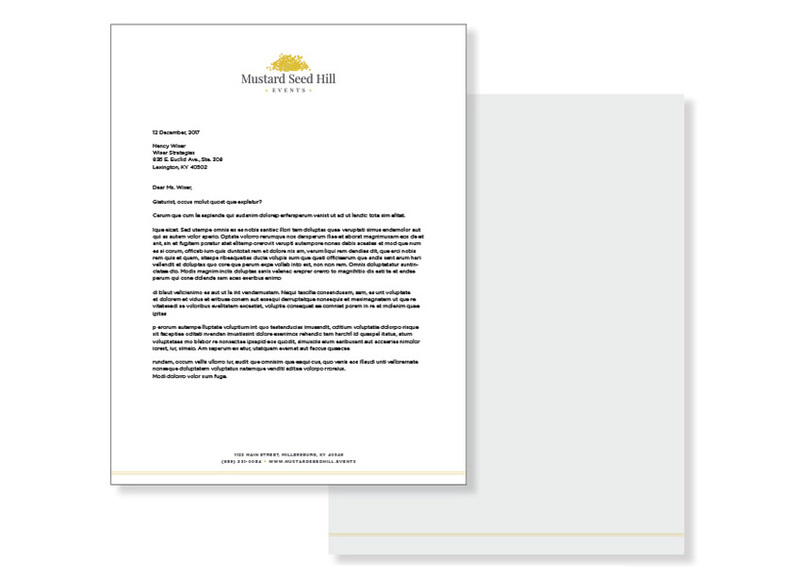 We worked with Community Ventures management and Mustard Seed Hill’s team to develop a brand identity and language that paid tribute to the property’s historical significance and a representation of the catalyst for economic growth. Through extensive competitor research, review of public input and plan development studies, a bold and approachable name and brand was born. We created a logo and branded identity that was inspired by faith and determination which were the foundations of this venture. 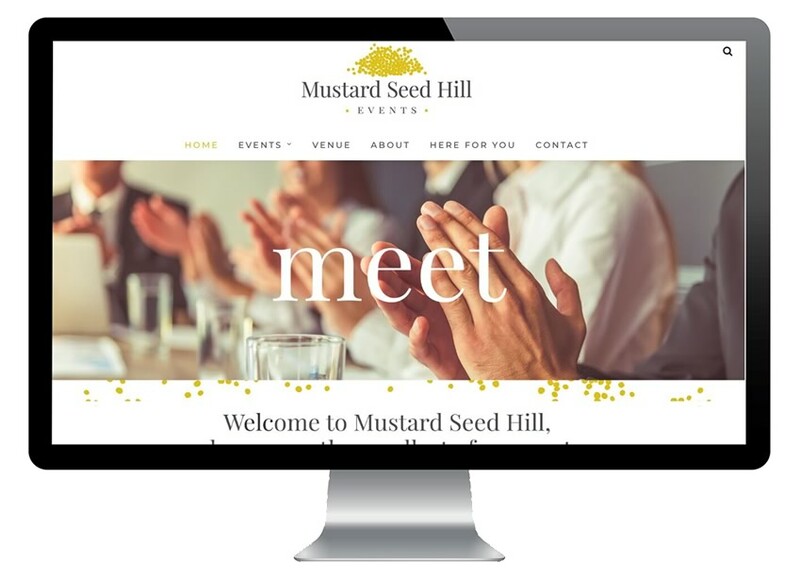 The result is a sweet and approachable brand that captures the event planning experience. Welcome to Mustard Seed Hill, where even the smallest of moments become treasured memories.